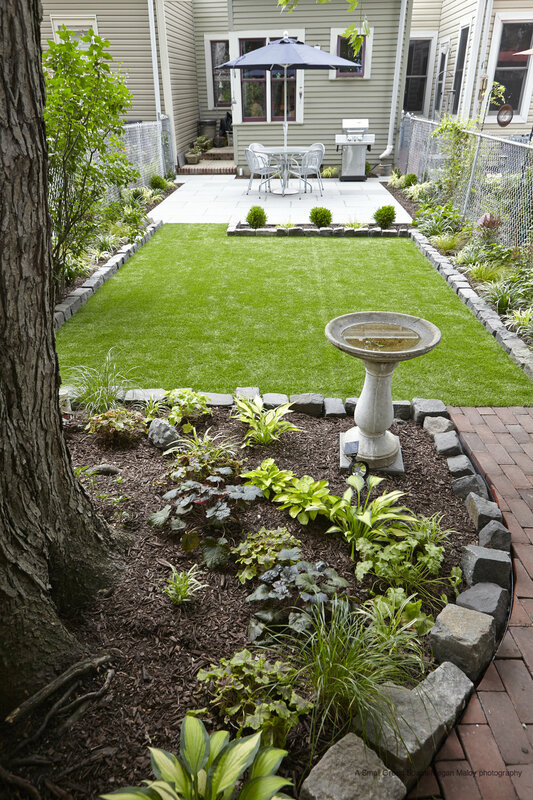 Artificial lawns are a great permeable alternative to both traditional (high maintenance) lawns and patios. 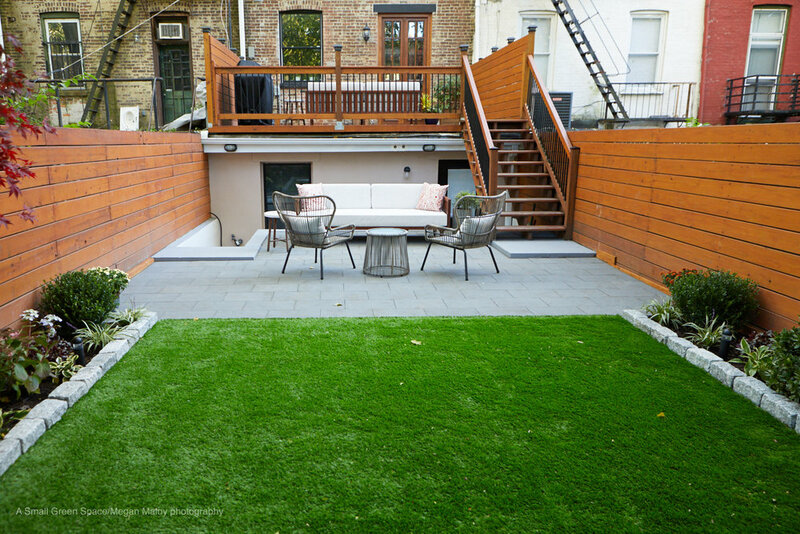 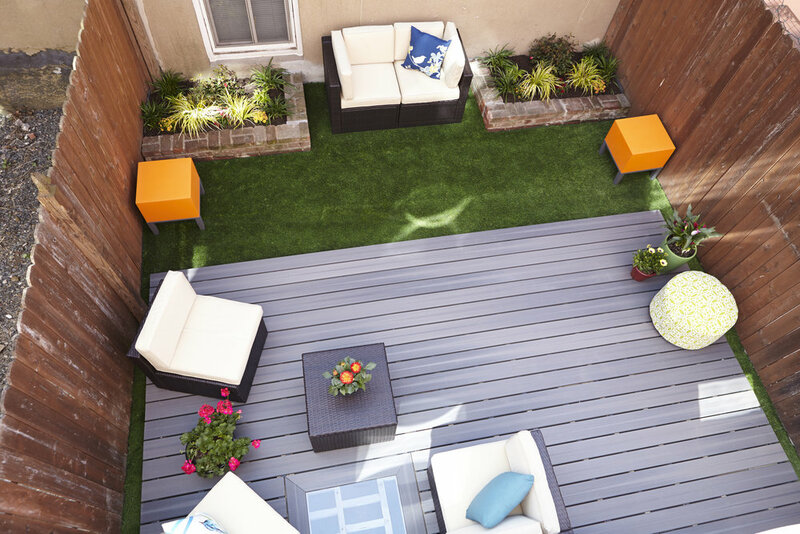 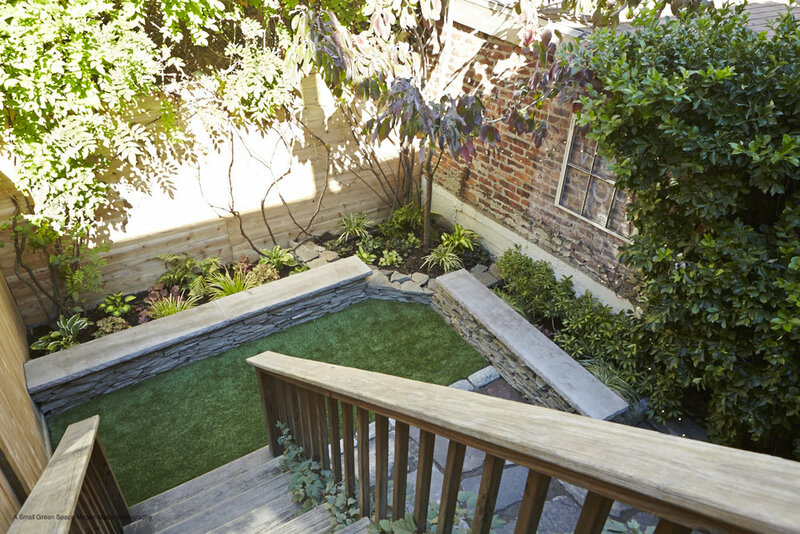 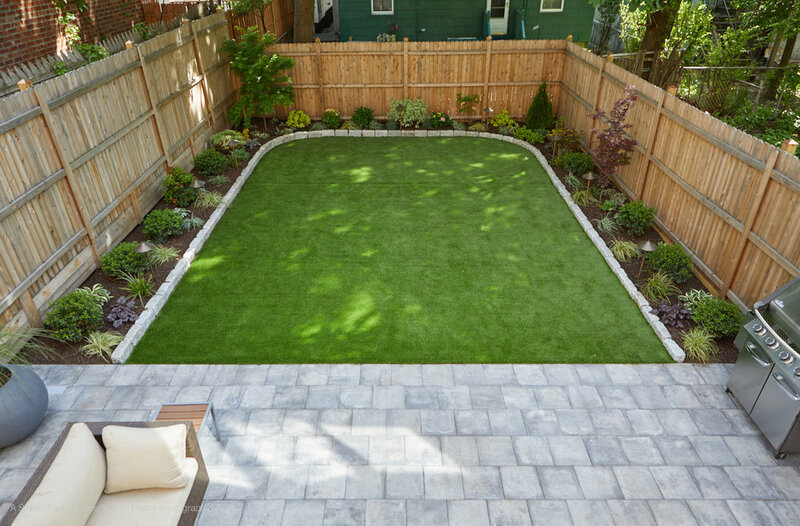 A correctly installed artificial lawn can double as a patio, having furniture sit directly on top of it. 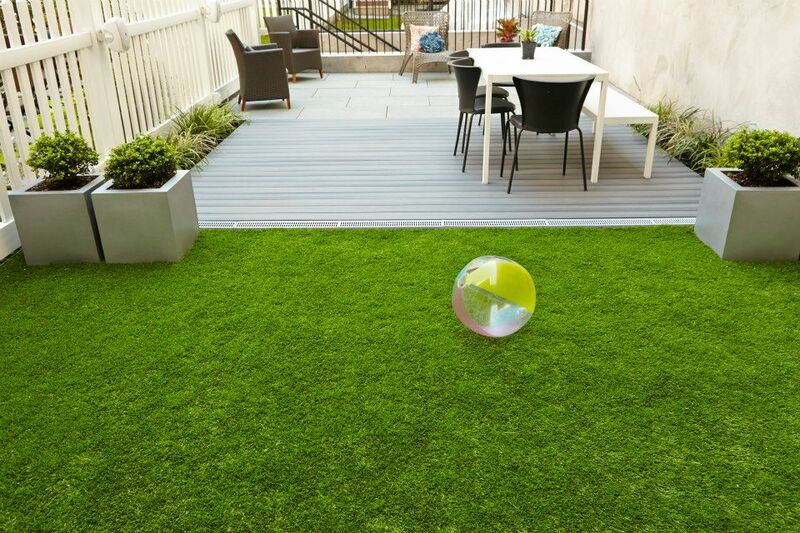 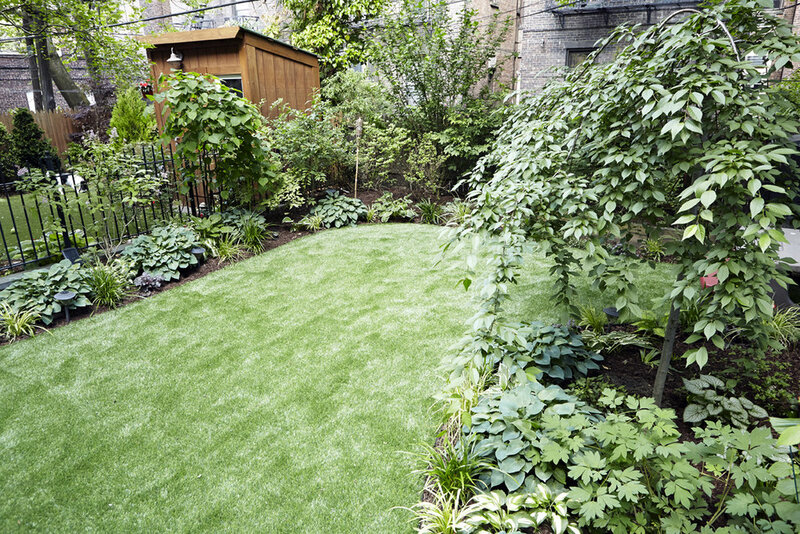 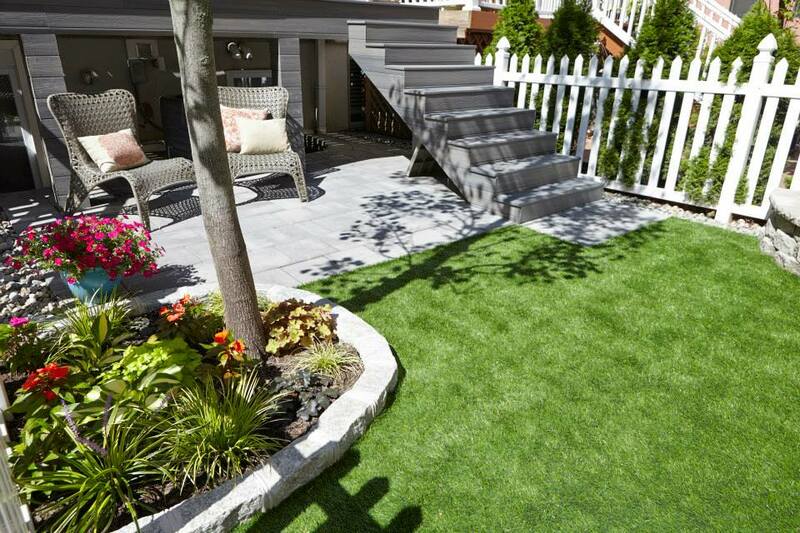 An artificial lawn is "green" in that it is made with recycled materials and requires no chemicals nor water. 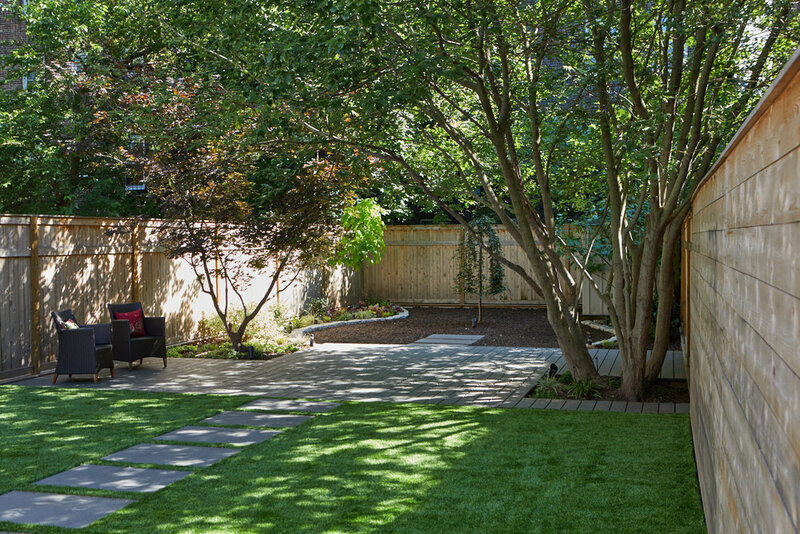 Artificial lawns also help add much needed "pervious" surface area back into our city spaces.